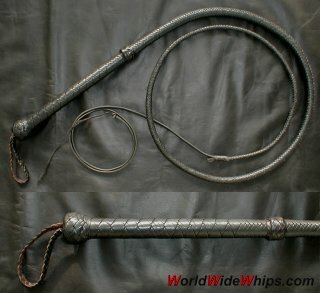 Target bullwhip made by Peter Jack in 1999. 6ft/12plait thong, black. Very dense, heavy construction, well balanced. Precise, fast-acting whip, easy to handle. Note the even braid and the handle detail. Well done, Peter!